Drink Of the Week – S’mores Mocha Please! Somehow we were promised spring and slid back into the cold wetness of winter. I'm freezing! This weekend we even ended up on the patio with the fire going making s'mores. 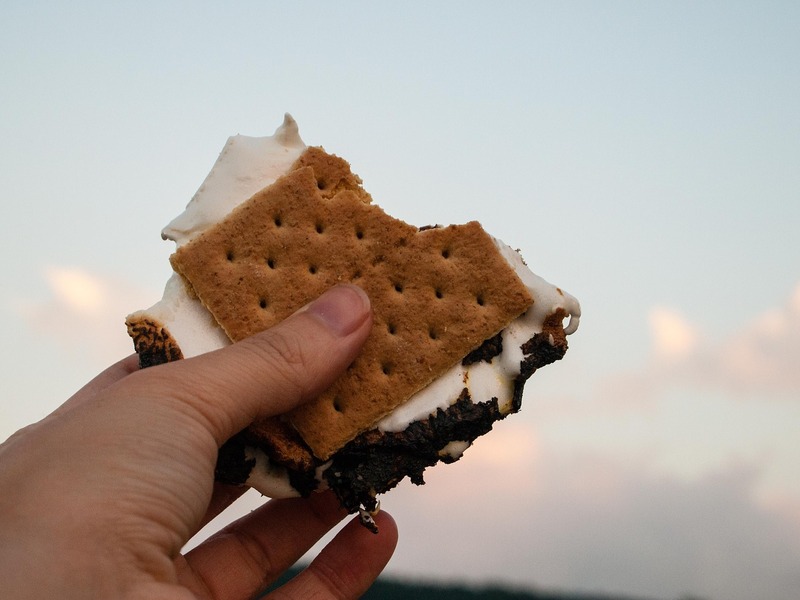 Yep.. chocolate, marshmallows, and graham cracker goodness. Which inspired me to make this week's latte of the week. With this recipe, feel free to get as fancy or as simple as you like. Because really this depends on how much time and effort you want to put into it. And honestly, I forgot to take the photo because it smelled so good and then I drank it. Then I felt bad because I forgot to take the photo… so LOOK! S'mores! Sorry guys! I'll do better next time. 1. Combine ingredients, except milk, in serving cup. Stirring the chocolate well into the hot coffee. When you add the marshmallows, they will fluff up a bit. Save some for the top and torch it at the end for a really authentic flavor. 2. Steam milk in pitcher. 4. Pour steamed milk into serving cup add your crumbled crackers and extra marshmallows to the top and enjoy your masterpiece. I’m going to try it out tomorrow!